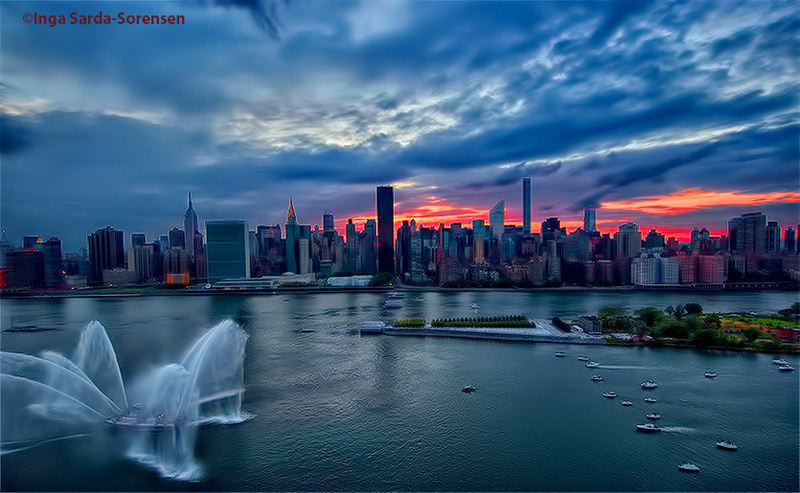 Spectacular view of Manahattan. Temps were in the teens on Sarturday. Unfortunately, on the east side a fire has been blazing in Williamsburg, Brooklyn, for over 24 hours. There is a lot of ash in the air. 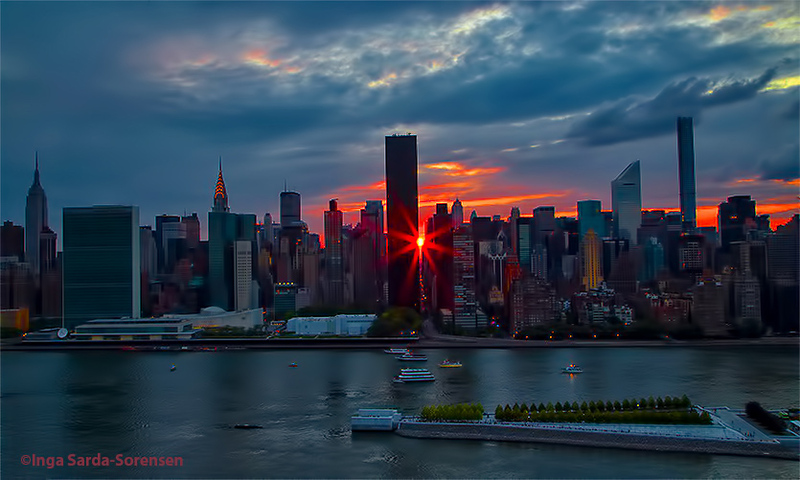 Perhaps it contributed to these colors over Manhattan? Headed to NYC for LegalTech this week. Today 4 to 8 inches of snow predicted. Highs this week below freezing. 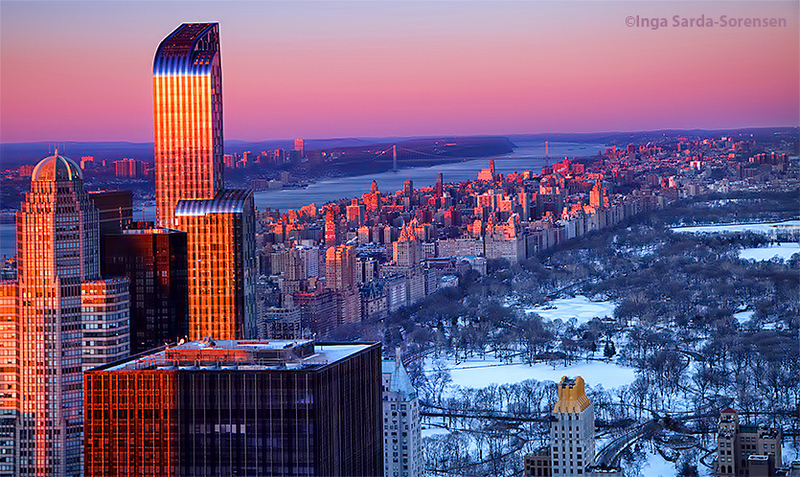 Pretty pink sunset glow over frosty Central Park today. Categories: Uncategorized | Tags: frosty, LegalTech, NYC, Pink, Snow | Permalink.